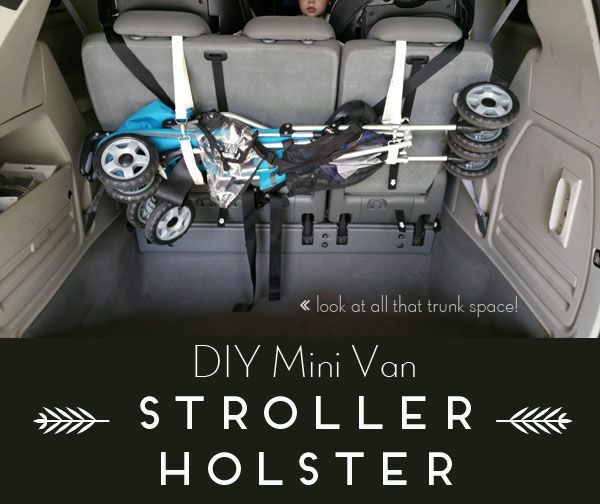 More Like Home: DIY Mini Van Stroller... Holster? We always keep an umbrella stroller in the back of our van. We've been caught a few times wishing we had one with us and, frankly, we're tired of it. And tired of carrying tired kids. But when our travel stroller lays in the trunk, it takes up all the floor space and has left us pulling it in and out every time we need groceries. So we had to choose between being stuck stroller-less or wrestling with the stroller while loading groceries with three kids. I don't know which was more inconvenient. 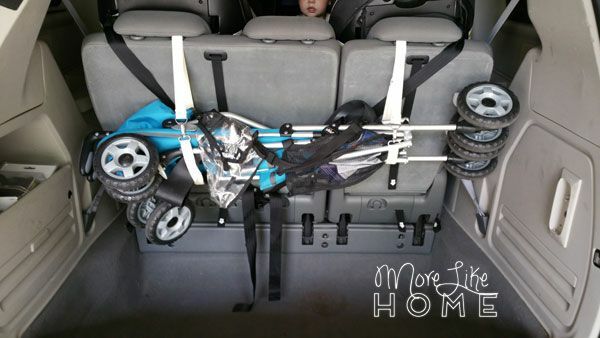 We needed a better way to have our stroller with us without using up our valuable storage space. check out the rest of our van organization, too! Slide another D-ring onto the strap until it is 6-8" from the first ring. 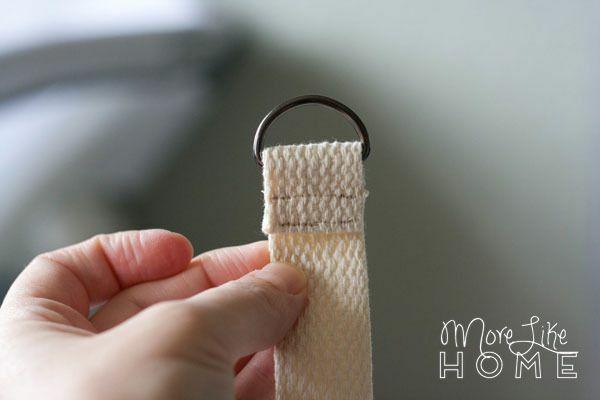 Fold the strap (see below, it's the ring on the left) and stitch just below the ring to lock it in. 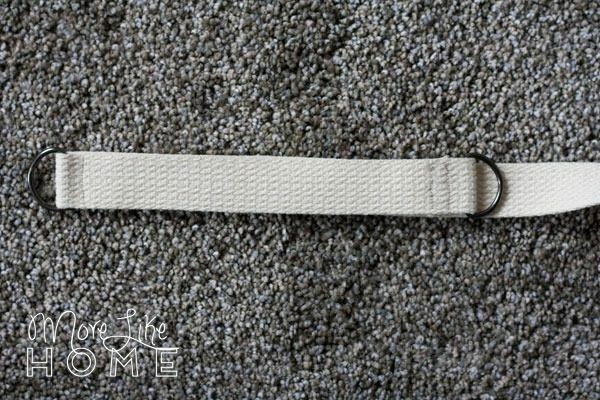 Slip the slide ring onto the long tail of the strap (with the strap laying the way it is in the pic above, you'll want the slide ring facing down. Slip the clip on after the slide ring. Flip the strap over and feed it back through the slide ring. 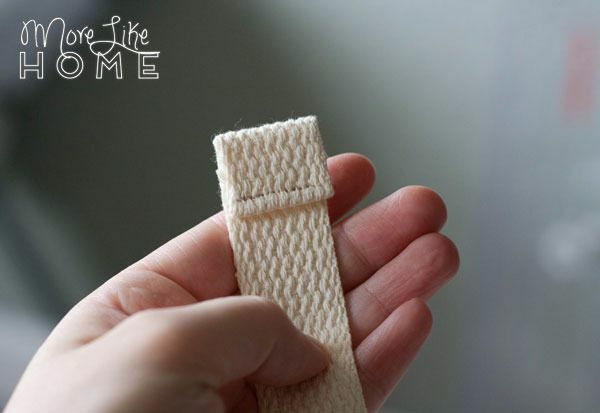 Fold the raw edge under 1/2", then 1" and stitch along the folded edge. One done! 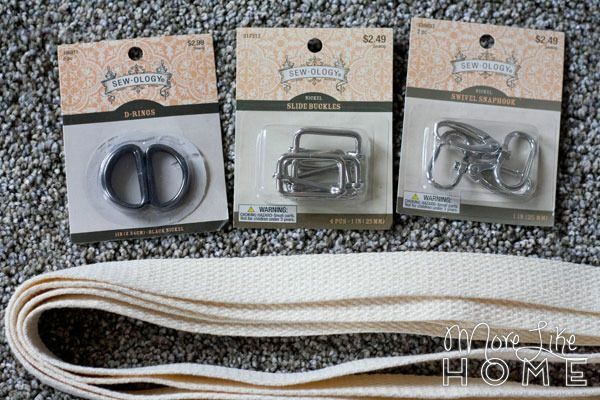 Repeat to make a second strap. 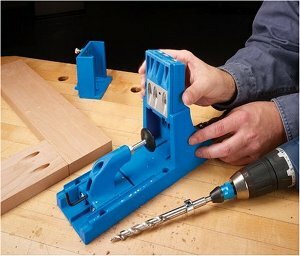 When you're finished they are super easy to install. Just remove a headrests from the back seat and put one of the legs of the headrest through the second D-ring (the one on his finger in the pic below). Repeat with the other headrest & strap. 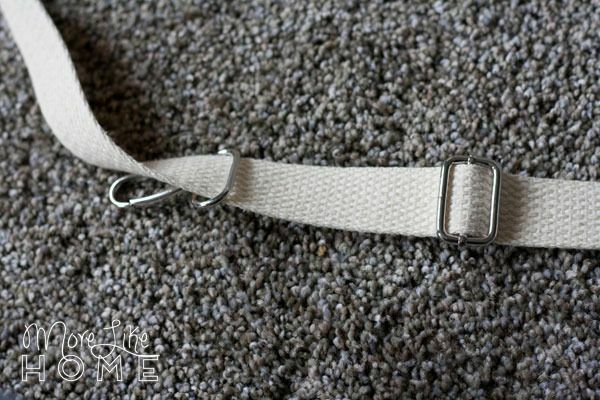 Wrap a strap around each end of the stroller, snap the clip into the first D-ring, and cinch it up with the slide ring. Ta-da! Now it's ready to go whenever you need it! We love our Chicco lightweight stroller (and highly recommend it as a travel stroller) - it's, you know, lightweight, easy to push, tall enough we can push it without bending over, and it includes a canopy and a storage basket below. Plus it folds up to a reasonable size. If you need more ways to make outings with kids a little more manageable, we have a few bags that might help! Our Stroller-Friendly Diaper Bag is one of our most popular projects. 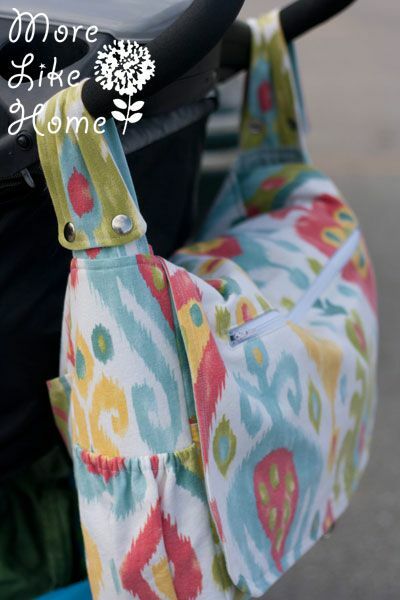 It converts from a messenger style diaper bag to a stroller bag in seconds with just a few snaps! It's great to snap on the back of the stroller when you're out and about to keep your arms free (and leaves your under-seat basket open for jackets and water bottles). You can see the free pattern and tutorial here. 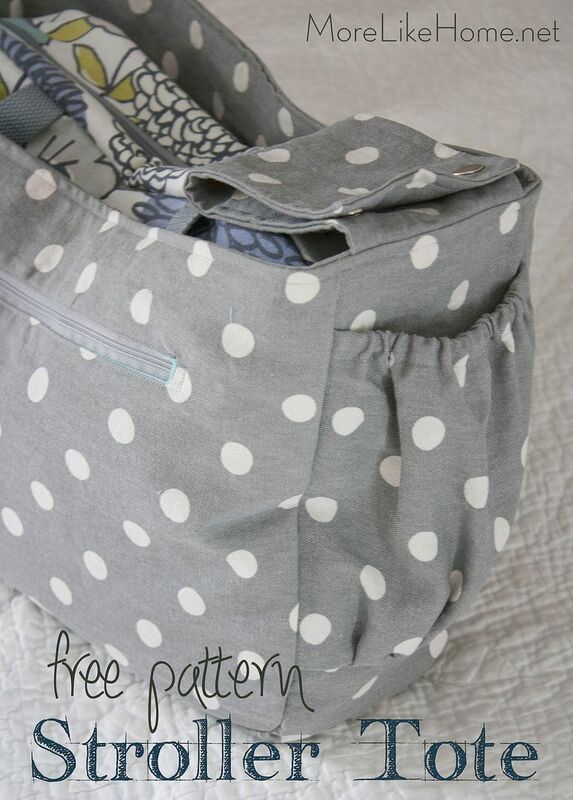 We also have a free pattern for a Stroller Tote. It's a simpler design and a full-time stroller bag (no converting to a messenger back for this guy). 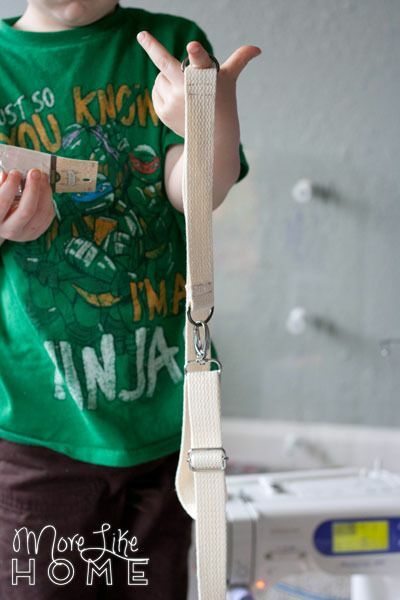 This one is great to leave snapped on your stroller all the time, even when it's hanging in its mini van holster. It's big enough for most diaper bags to fit right inside (so it's a perfect addition if you already have a bag you love), or you can use it as extra storage space for jackets, snacks, and more! Get the full tutorial here. 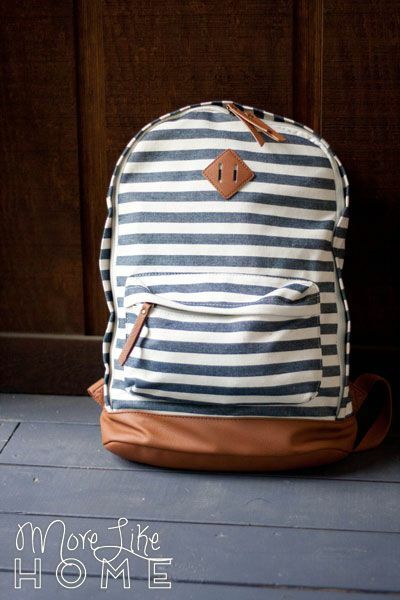 And finally, this season of life has us ditching the traditional diaper bag in favor of a backpack. 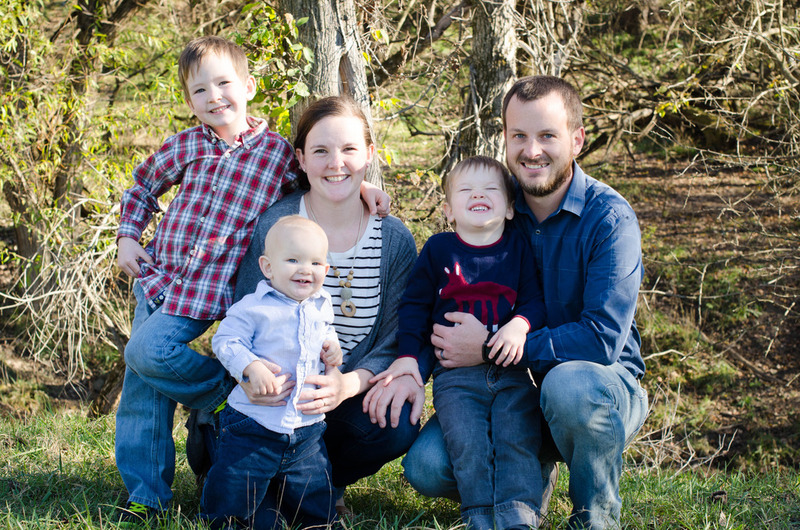 You can read all about why we made the switch and what we're packing these days here. 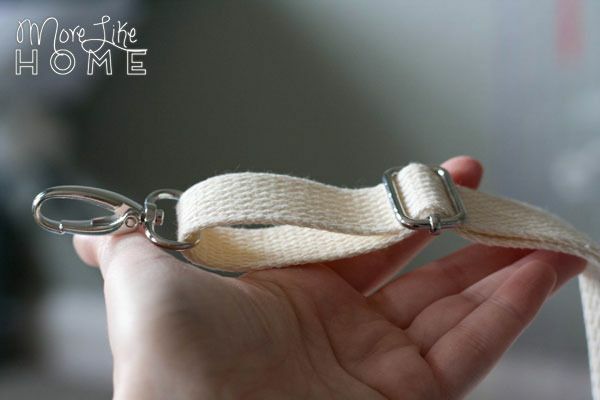 We love that it keeps our hands free for wrangling kids! Having a well-packed a bag and stroller at-the-ready makes us much more confident to be spontaneous with the kids. Hit the zoo after church? Why not, we're ready! And later this week we'll be sharing everything else we keep in the car for these little monkeys, plus how we keep it all organized. What do you like to keep on hand when you're out with the kids?